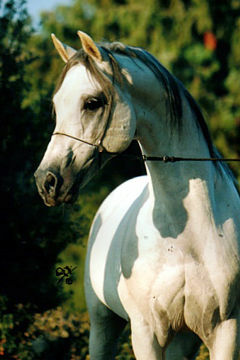 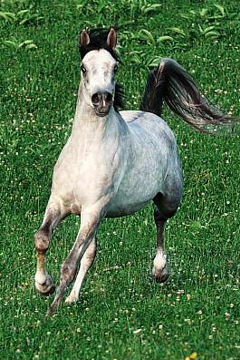 FUGITIVO, Grey Stallion, *1980 (Harmik / Fuga). 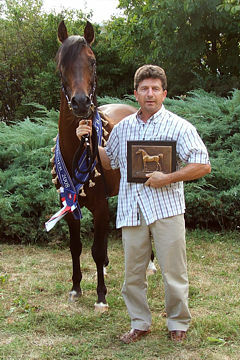 Breeder & Owner: Celina & Miguel Pavlovsky, Haras San Andres Del Moro. 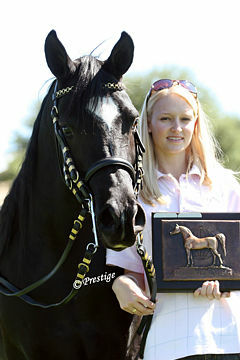 We are very proud to share with you that Fugitivo was awarded the 2005 WAHO Trophy as the most outstanding Arab Horse bred and living in Argentina. 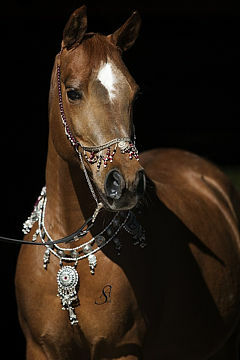 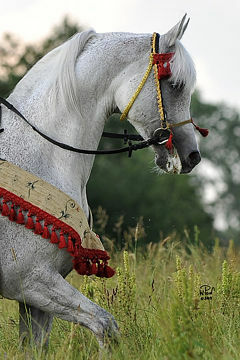 The Arabian Horse Breeders Society of Argentina took the decision, after evaluating all candidates whose details were submitted by owners and breeders, to nominate Fugitivo the recipient of this award for the year 2005. 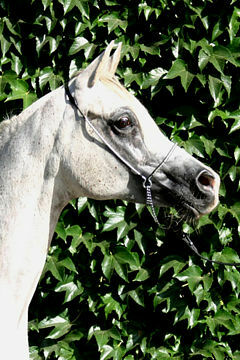 Fugitivo was born in April 1980, his mother Fuga [Aman / Noor] came from old Argentine blood-lines and his father Harmik [Haroun / Mikoletta] of Crabbet origins was imported from the U.K. in 1997. 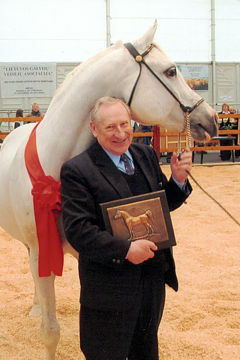 During his long 12 years of active competitions he won National Championships in Dressage, Jumping, Driving, Barrel Racing, Pole Racing and in Ridden Classes with English saddle and Gaucho saddle. 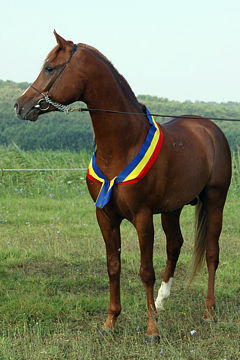 He also won the Senior Championship in Halter. 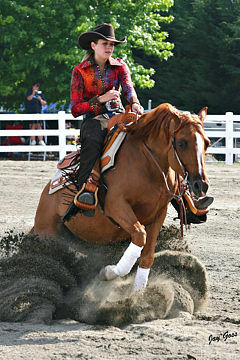 In Open Championships (for all breeds) he won National Titles in Barrel & Pole Racing. 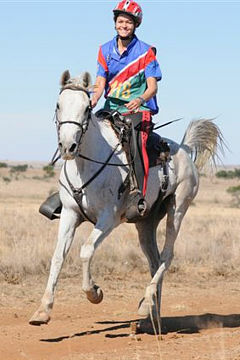 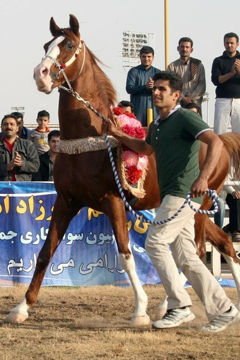 He competed in Flat Races and won in Endurance Competitions. 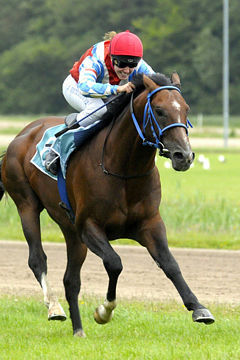 He is the most versatile winner of performance competition in Argentina and has passed to his sons and grand sons his successful competitive spirit. 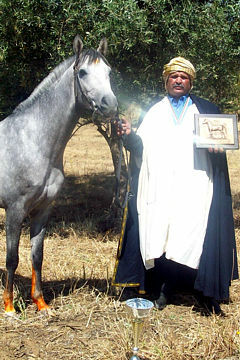 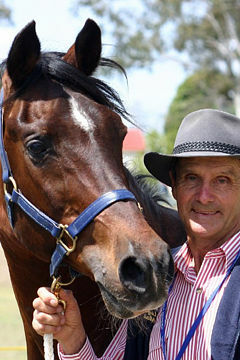 His sons have been race winners with Horse of the Year Awards, and many have been top endurance competitors, with more than 20 sons exported as successful endurance horses. 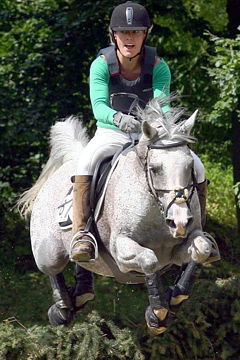 As a maternal grand-sire, Fugitivo also continues transmitting his athletic capabilities. 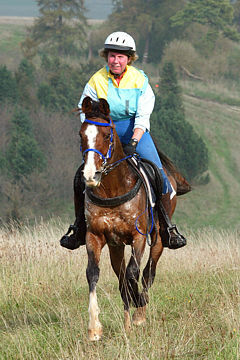 In the last 3 years the Argentinean National Endurance Championships were all won by his grandsons. 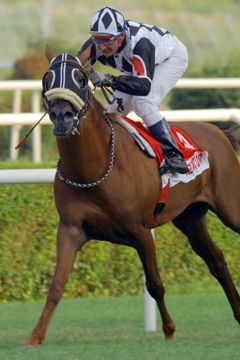 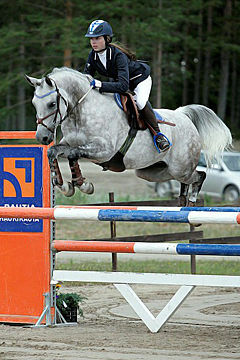 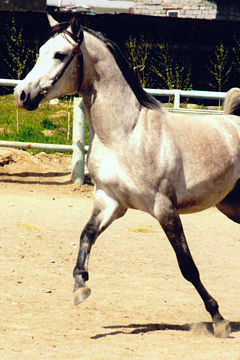 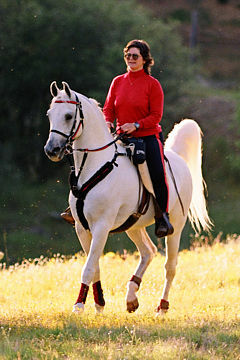 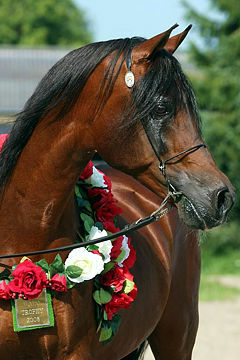 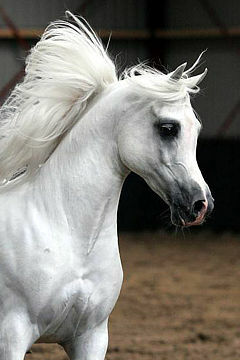 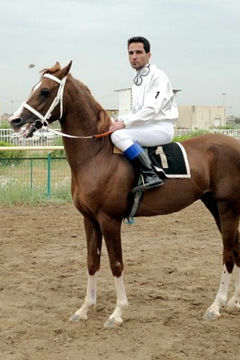 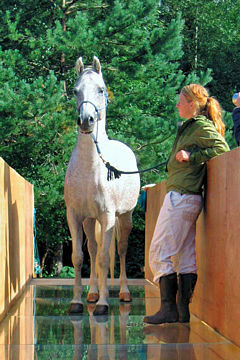 In the 2004 National Championship the winner, second, third and fourth placed horses all had Fugitivo as either their sire or maternal grand-sire. 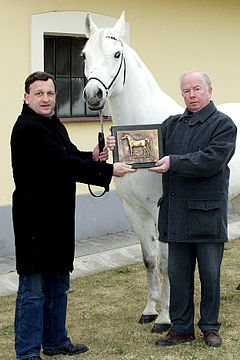 Hans Nagel, Izabella Zawadzka, Peter Pond.Fugitivo is still in good shape despite his 26 years. 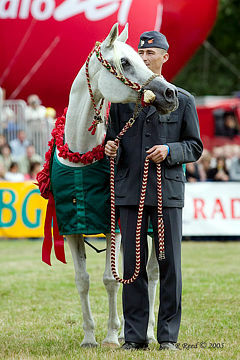 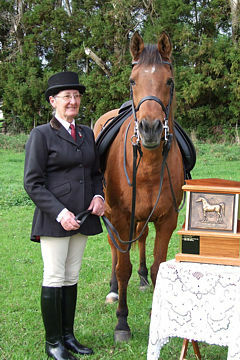 Recently retired from stallion duties, he left his pasture to undertake the long journey to Buenos Aires specially to receive with honors this unique WAHO Trophy. 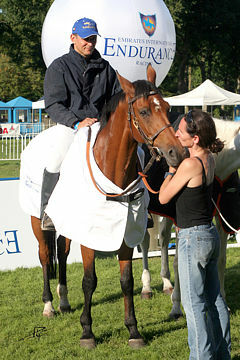 The Trophy was presented to Fugitivo himself, with his proud breeders and owners, Celina & Miguel Pavlovsky from Haras San Andres del Moro. 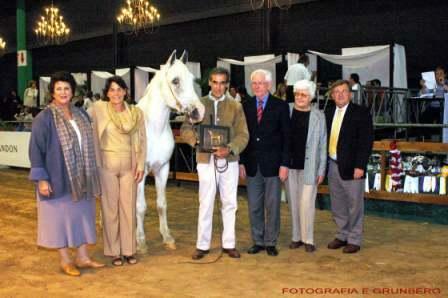 This ceremony took place during the Argentina National Horse Show this April at Palermo Show Grounds on 8 April 2006, the Trophy was presented in front of an enthusiastic audience by the President of WAHO Dr. Hans J. Nagel (Germany) and members of the Executive Committee, Mrs. Claudia Caraballo de Quentin (Argentina), Mrs. Izabella Pawelec-Zawadzka (Poland) and Mr. Peter J. Pond (Australia).